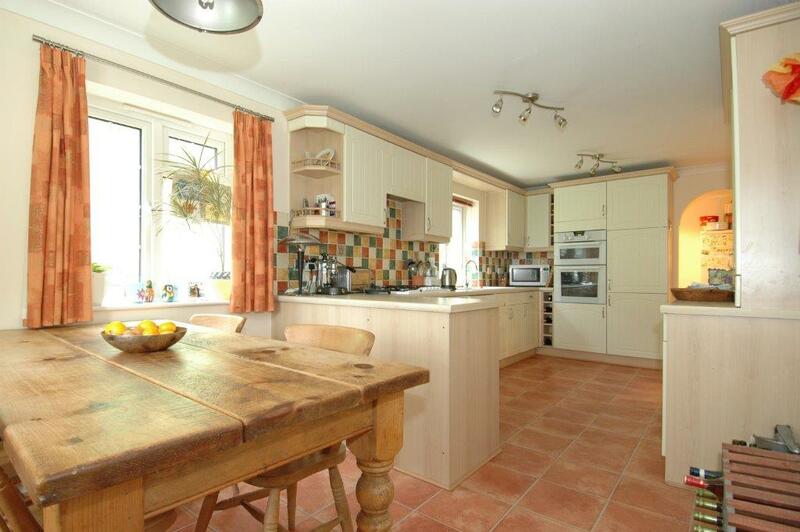 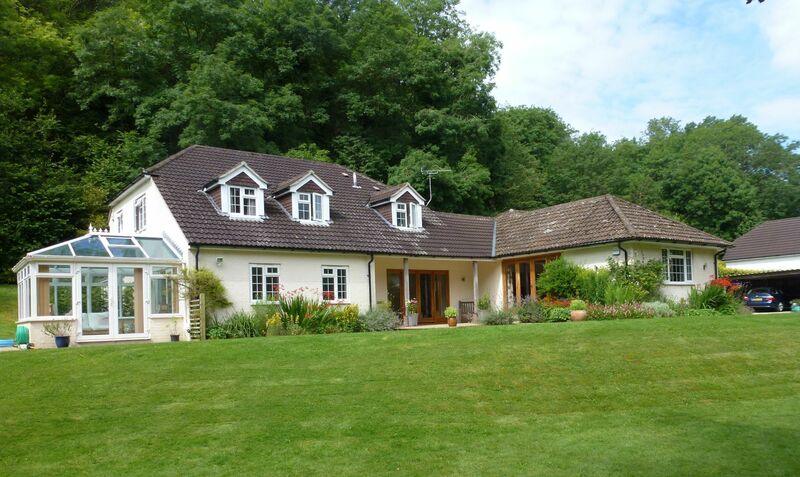 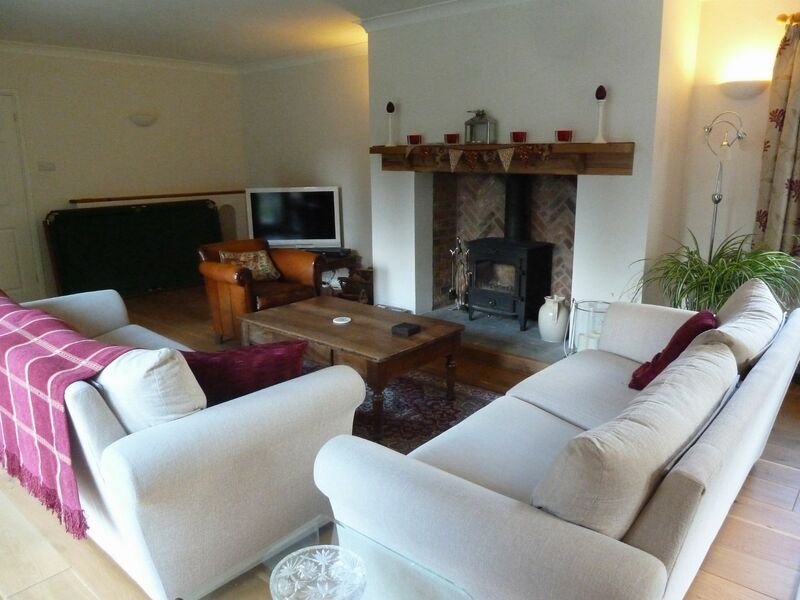 This well-presented property offers over 3000 sq ft of flexible and practical accommodation. 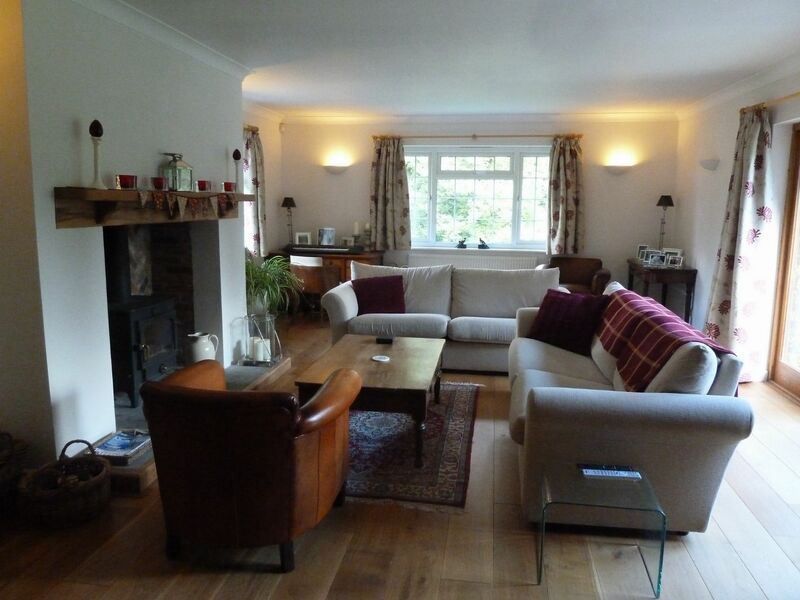 Fitted French windows bring wonderful light into the house, opening onto the south and east facing terrace and giving a very spacious feel to the hall and sitting room. 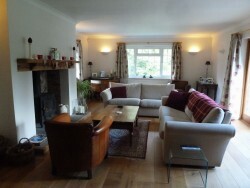 The entrance hall with oak flooring leads through double doors to a spacious Sitting Room with wood burning stove, dining room with electric effect wood burning stove and french windows to the conservatory, kitchen/breakfast room, computer/hobby room, utility room and boot room. 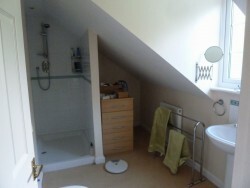 The side hall leads to a guest suite of two double bedrooms (one with en-suite), study and a WC/shower room. 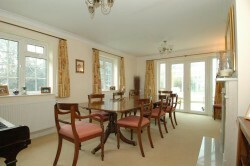 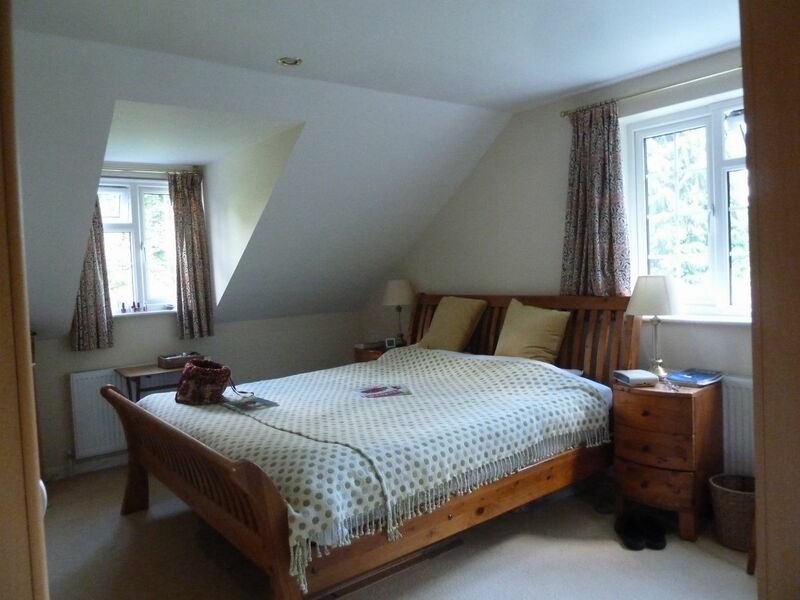 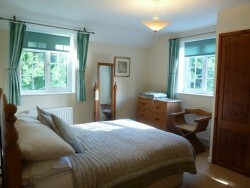 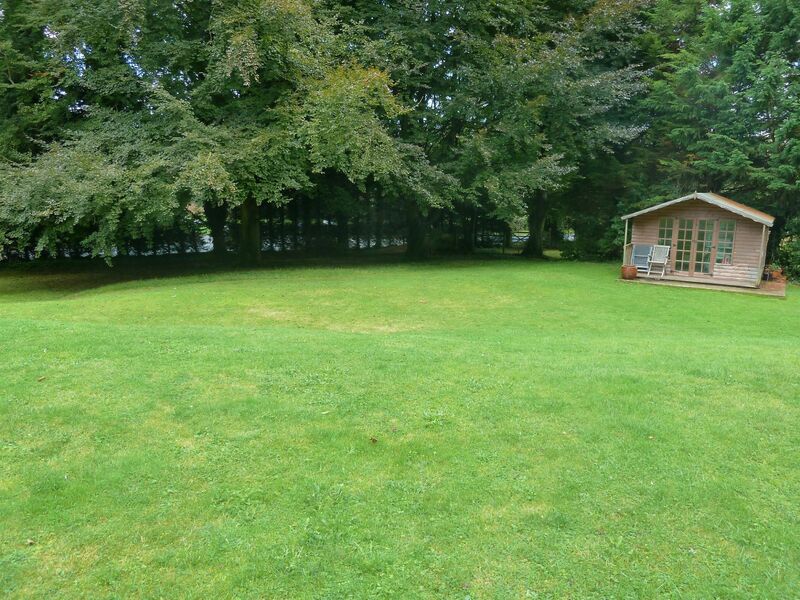 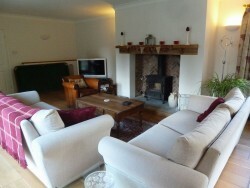 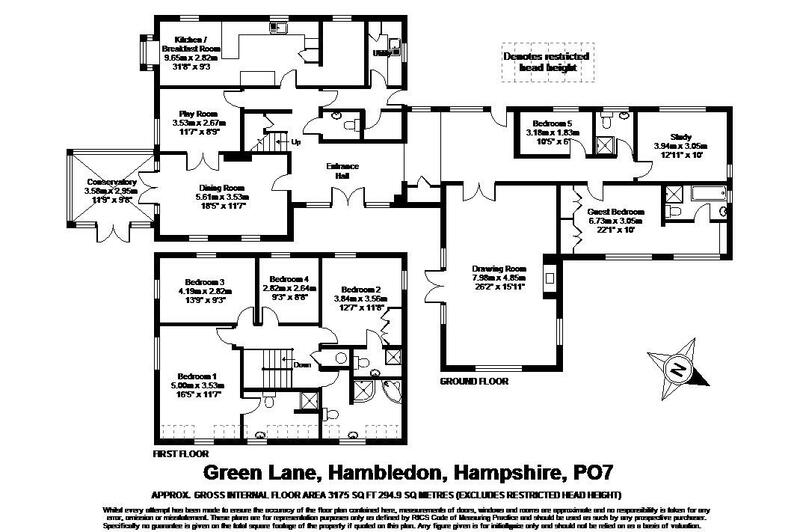 This area could be used as a nanny or granny annexe. 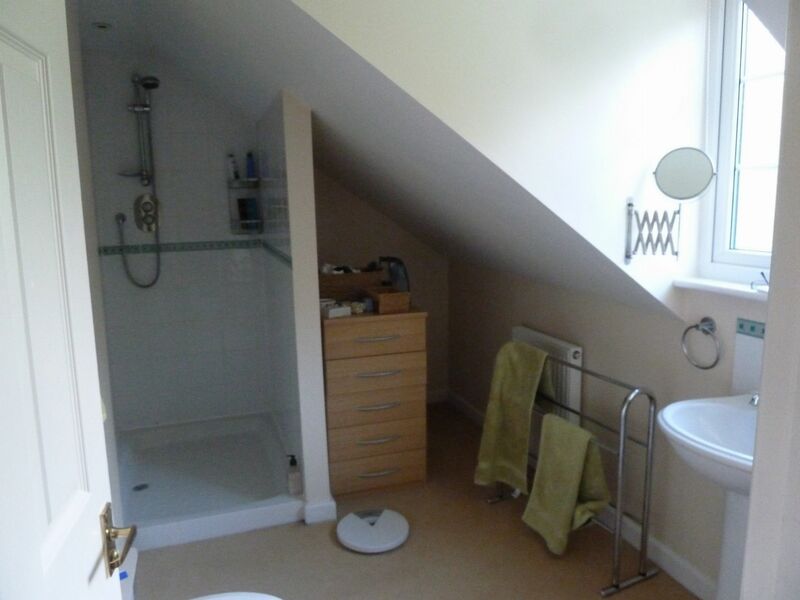 Upstairs there is a master suite with en-suite walk-in shower, a further double bedroom with en-suite shower, two single bedrooms and family bathroom. 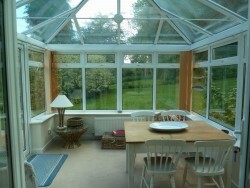 The house is well insulated with double glazing. The house is approached, initially, by a shared entrance branching to a private gravelled driveway with double car port and lockable shed. The property stands in a lovely large, landscaped and terraced garden, mature trees and shrubs, large patio and a summer house. 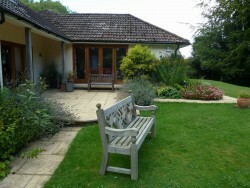 The gardens are enclosed and are of a mainly southerly orientation.